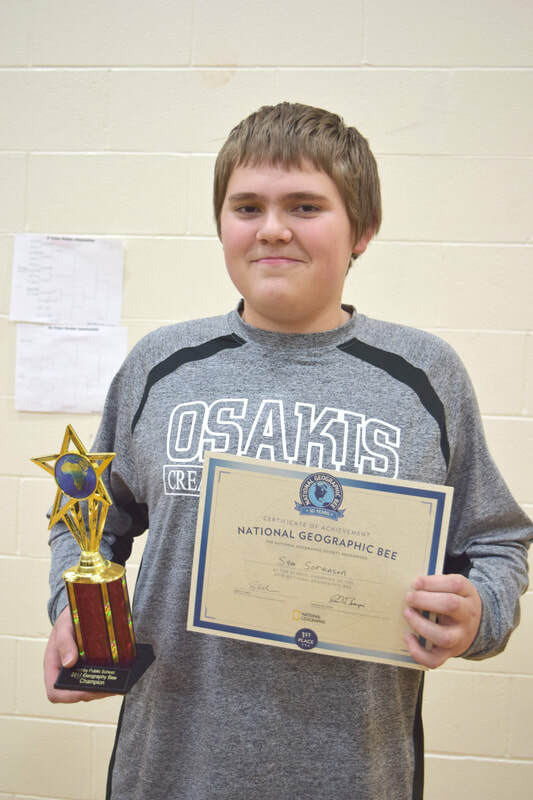 The local Geography Bee is the first round in the National Geographic Bee. Ashby students answer 7 rounds of questions dealing with States, Oceans, Ocean Wonders, Continents, Geo History and Science, and Cultural Connections. Thousands of schools around the US participate in Geography Bees. 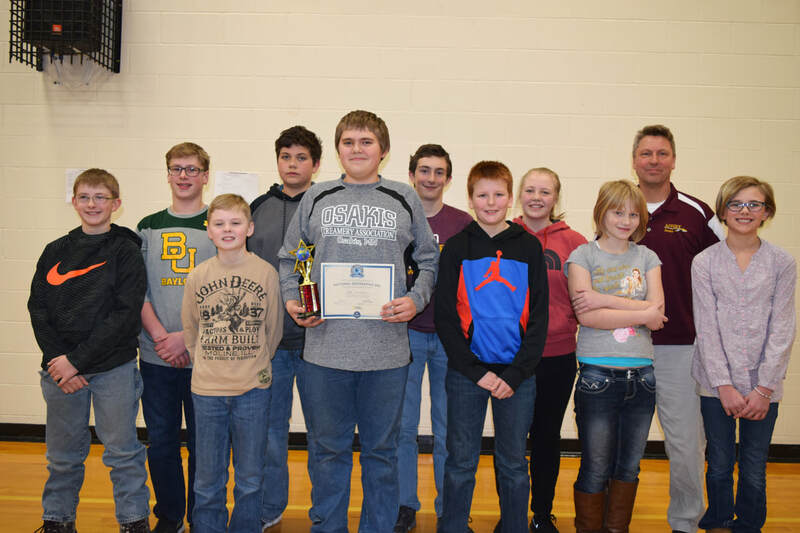 School champions will take a state qualifying test and up to 100 of the top scorers on that test in each state will then be eligible to compete in their state Bee. The state Bee winner will advance to the National Bee in Washington DC in May. The National Geographic Society will provide an all-expense paid trip to DC for them to participate in the Bee. The first place winner at nationals will receive a $50,000 college scholarship in addition to other prizes. The National Geographic Bee (previously called the National Geography Bee) is an annual geography contest sponsored by the National Geographic Society. The Bee, held every year since 1989, is for students in the fourth through eighth grades in participating schools throughout the United States and in the five U.S. territories, as well as in Department of Defense Schools around the world. ​2017-18 Ashby Geography Bee Contestants include students ranging from grades 4 through 8. (left to right) Jayson Thormodson, Matson Hoff, Lukas Anderson, Jacob Cook, Sam Sorenson, Evan Paulson, Kellan Dahlen, Kyra Aamot, Melody Larson, coordinator Tom Gronwold, and Kennady Skougard. 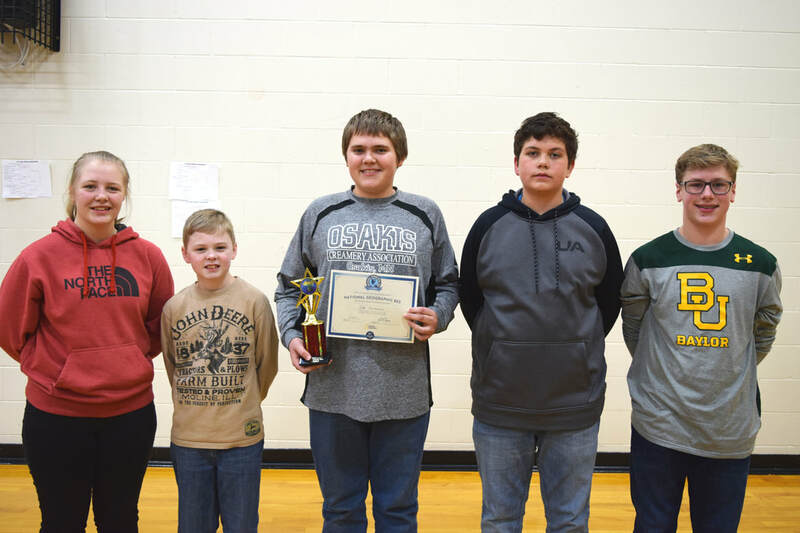 These five students earned top honors in the 2017-2018 Geography Bee with Sam Sorenson taking the championship and Kyra Aamot, Lukas Anderson, Jacob Cook, and Matson Hoff all tying for second place.